Saturday July 18, 2015: Australian nationalist group, United Patriotic Front, will be holding a joint public rally in Melbourne at a time and location yet to be confirmed, but likely to be from 1pm on the steps of Victorian Parliament House, Spring Street, Melbourne. The rally is expected to involve allied Australian nationalist groups. Our friends at Nationalist Alternative have issued an official statement on the call for a united response to the threat of confrontational violence made to the next Reclaim Australia Rally in Melbourne. 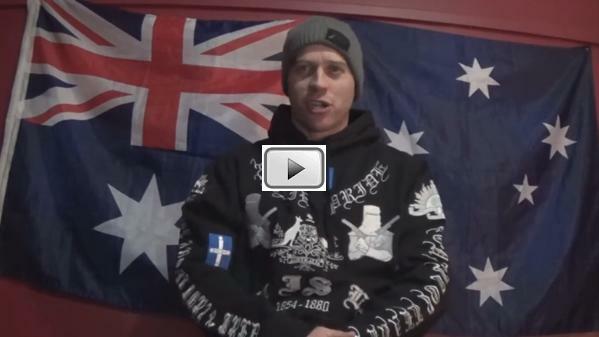 Australian nationalist groups participating include United Patriots Front, Reclaim Australia, Australia Defence League, Nationalist Alternative, Aussie Brotherhood, Southern Cross Soldiers, Australia First Party, Full Blooded Skips, Australian Republic Army, Rise Up Australia, Australian Patriots Defence Movement. Note: This rally is not organised by Australia First Party, however we support it and shall be participating.